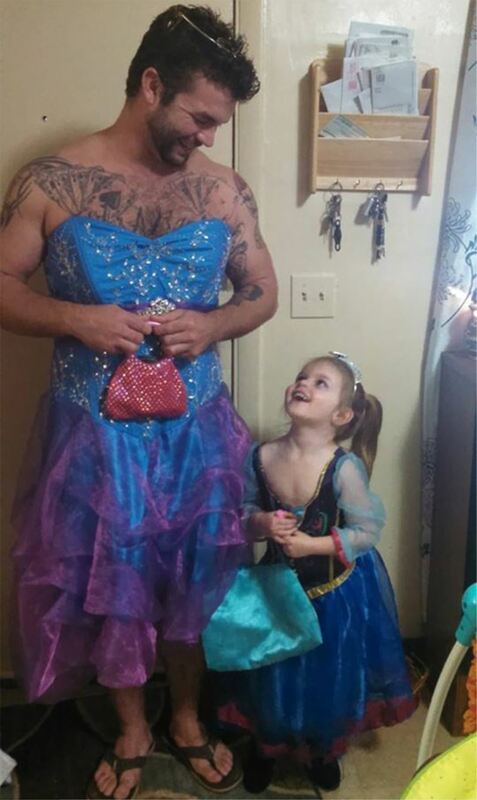 A man with lots of tattoos has become the internet’s favorite uncle after his photos wearing a dress for his four-year-old niece have gone viral. 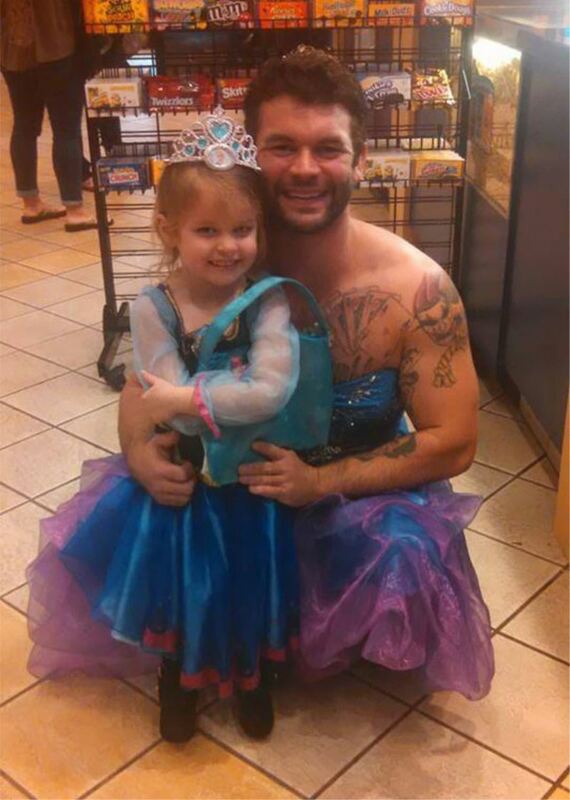 In the photos that instantly became an internet hit, the 26-year-old muscular and bearded actor and his niece Izzy were both wearing sparkly princess dresses. 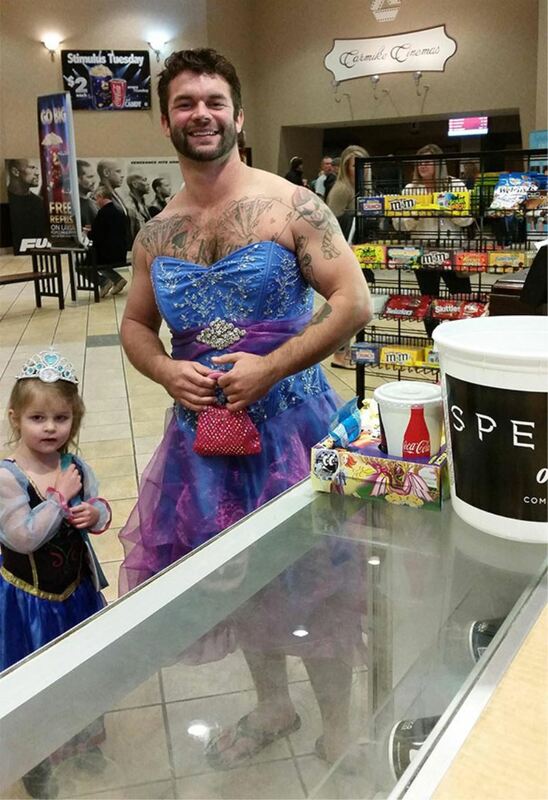 Apparently, little Izzy wasn’t feeling confident wearing a princess dress to a Cinderella movie. Jesse didn’t want his niece to feel uncomfortable and embarrassed wearing the cute outfit so he decided to accompany her wearing a similar outfit to a cinema house in Florence, Alabama. The 4 year old was afraid that she would be the only person wearing a princess dress at a theater. So her uncle did the unthinkable. He also dressed as a princess to make her confident. According to reports, Jesse was able to borrow a prom dress from a pal. Izzy helped style her uncle’s outfit by providing the tiara and handbag. Prev story Girl Was Adopted as a Baby. What Mom Gives Her on her Wedding Day? I am In TEARS! Ventriloquist gets Annoyed During Show and Storms Off Stage. Watch The Dummy Closely as he Leaves.